Not only is Libyan See just few steps from a gorgeous, very long, uncrowded beach, but the establishment itself has been very effectively renovated. While in most other accommodations in Mediterranean you find poorly fitting single-glass windows and doors letting all noise, sand and dust through, here the owner installed perfectly leak-proof triple-glass (!) balcony doors. They provide for effective noise and heat insulation from the outdoor, guaranteeing your calm sleep regardless of what is out. Silent air-con just adds to it. Fridge, kettle and coffeemaker were in the room, each room has its balcony. Daily cleaning. During our one week long stay we had the bedding changed twice ! Well stocked shop on ground floor (same owner). Gorgeous sunsets over the sea ! The room was super clean. There was a daily cleaning service, something you rarely see in small hosting businesses. Rooms seemed recently renovated. The host is polite and friendly although a bit extra busy at this time of year. We rented a studio at a very good price and it had everything we needed (bed, fridge, kitchen, tv and - most importantly - air conditioner). There is a mini market below the rooms, very convenient. The location is good to go to the beach and kalamaki is a very relaxing place. Just perfect for that price! I would repeat with pleasure to stay longer! I liked the location and the fact that it was good value for money. The supermarket downstairs has fair prices. The room was clean,newly decorated and painted. Everything new! 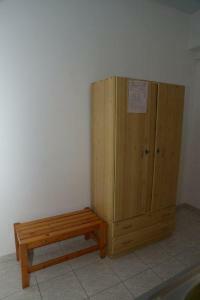 Friendly welcome, family operation, clean, old building but well maintained, good location, soundproof windows. Supermarket underneath (belongs to same family). Good wifi internet. Läget och den stora balkongen in mot baksidan. Morgonsol och behaglig skugga på em/kv Familjen ytterst vänliga! 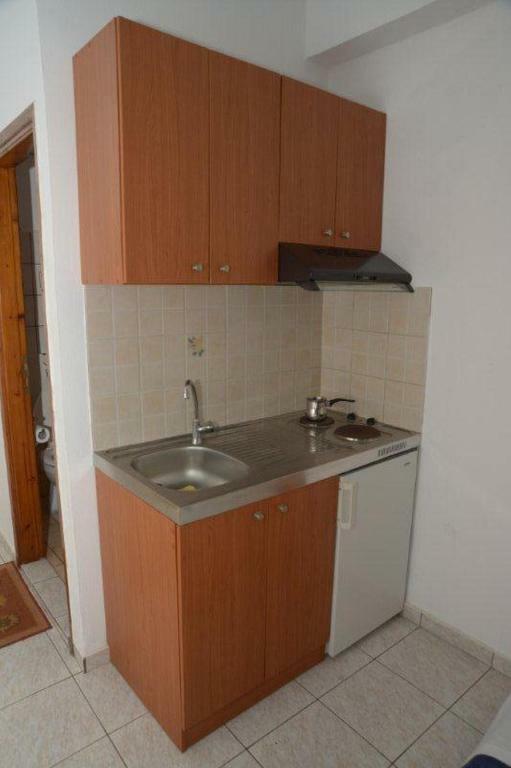 L'accueil du propriétaire, la propreté de l'appartement, le confort de la literie, le coin cuisine qui permet de cuisiner sur place si souhaité. Le balcon avec vue sur la mer (spécifique à l'appartement loué). Appartement idéal pour 2 personnes. 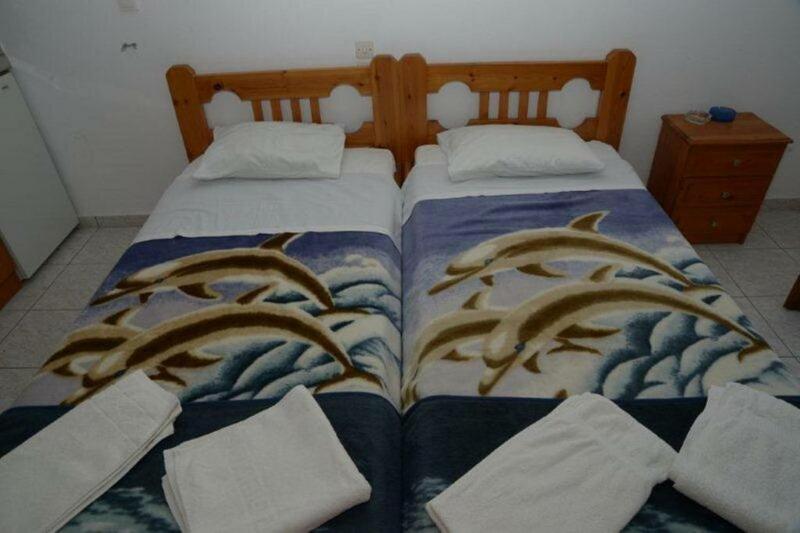 Lock in a great price for Lybian Sea – rated 8.4 by recent guests! 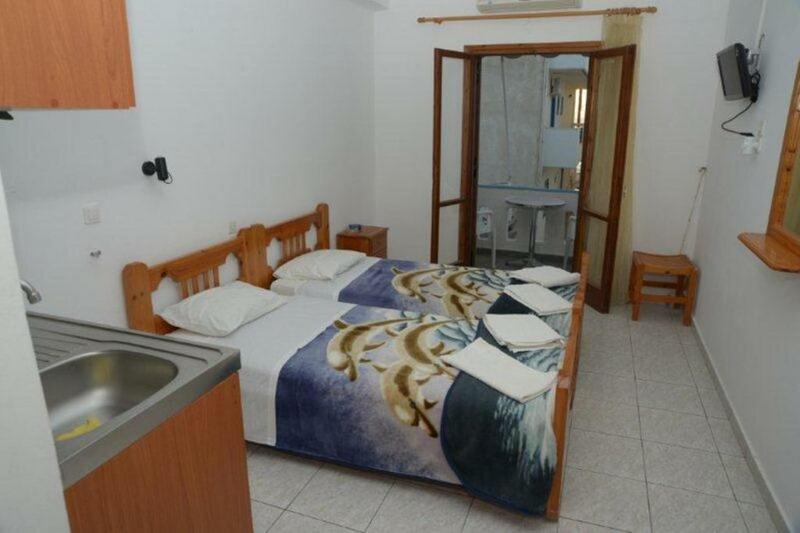 Just 150 feet from Kalamaki Beach, Lybian Sea features air-conditioned accommodations with a balcony and free Wi-Fi. On the ground floor, guests will find a supermarket, souvenir shop and Cretan products shop. All rooms, studios and apartments are simply decorated and offer views of the property’s garden, the mountains or the sea. Each includes a satellite TV, mini fridge and coffee maker. Some accommodations types are self-catered, while a communal kitchen is also available to prepare a light meal. Lybian Sea is around 1.6 mi from the picturesque village of Kamilari and 42 mi from Rethymno Town. The seaside town of Agia Galini can be reached within a 20-minute drive. Free parking is possible nearby. When would you like to stay at Lybian Sea? 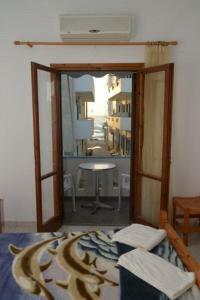 Air-conditioned room with a balcony facing the property's garden, the mountains or the Libyan Sea. It features a satellite TV, free Wi-Fi, mini fridge and coffee maker. Featuring a kitchenette, this air-conditioned studio has a balcony facing the property's garden, the mountains or the Libyan Sea. It offers a satellite TV, free Wi-Fi, mini fridge and coffee maker. 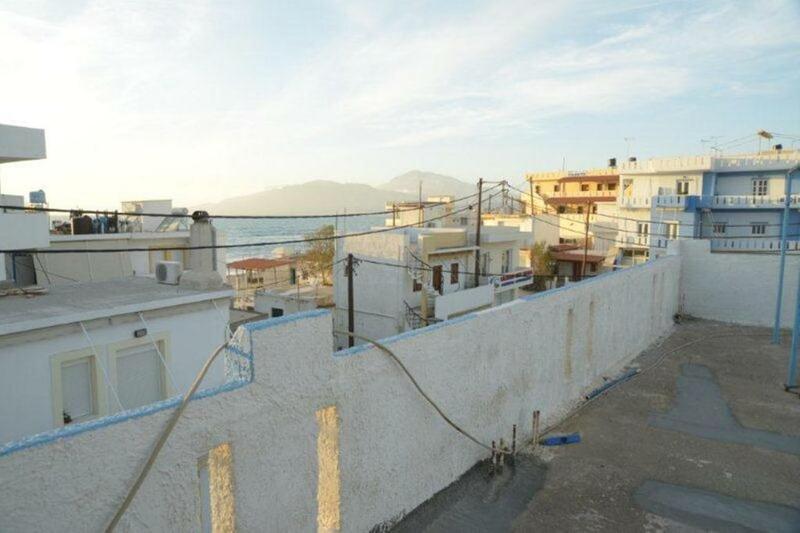 Featuring a kitchenette and seating area, this air-conditioned apartment has a balcony facing the property's garden, the mountains or the Libyan Sea. 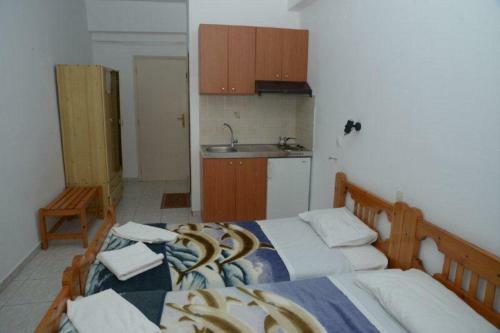 It offers a satellite TV, free Wi-Fi, mini fridge and coffee maker. 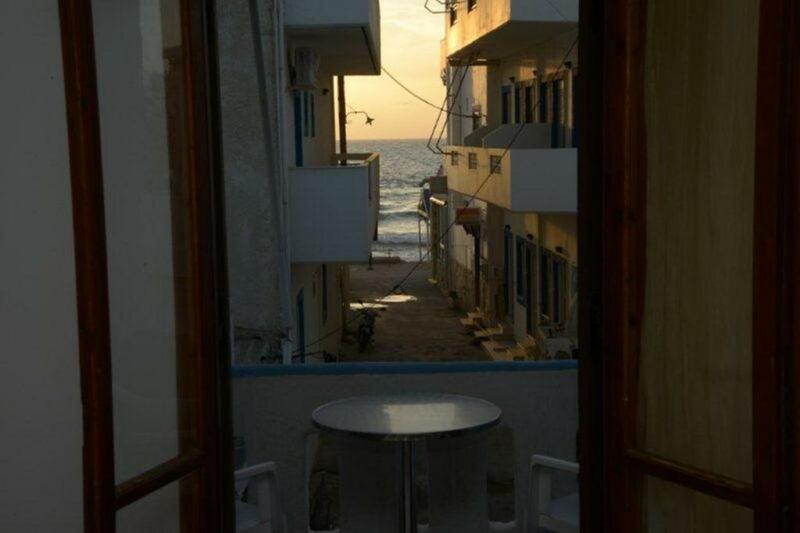 Kalamaki is very safe and small place with family atmospher!! House Rules Lybian Sea takes special requests – add in the next step! Lybian Sea accepts these cards and reserves the right to temporarily hold an amount prior to arrival. 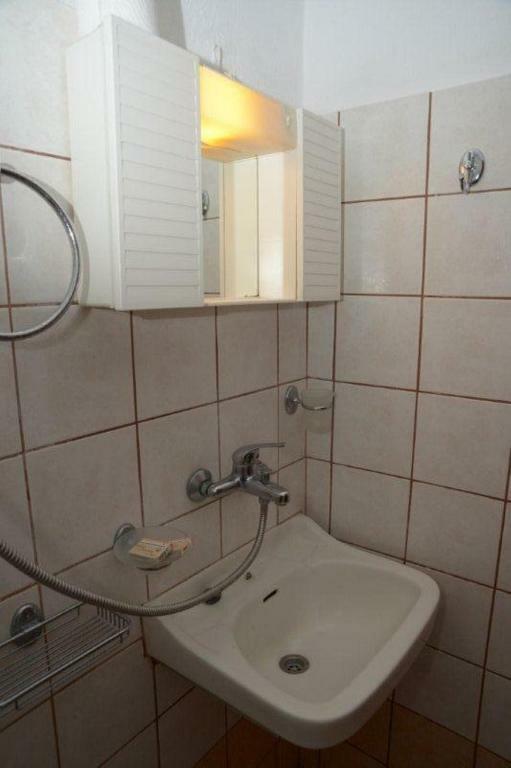 Hard to mention anything, perhaps just the space in the shower could be larger. Well, you can 't say that rooms are sound insulated and there were not much of a view from our balcony but that was not a big deal for us. There was no room available for us when we arrived although the booking had gone through and been confirmed. Stelio managed to find us a room in a nearby hotel. One that they use as a sort of transit room for guests who have late flights. They were very nice people too. There was no hot water for the shower and the bathroom door wouldn't close. Kalamaki is a lovely place though as is Agia Galini. The shower/ toilet was very small it was difficult to have shower. Bed was a bit stiff but clean linen.The fridge grill needed replacing as it was a bit rusty and the fridge had a bit of a smell. But i am sure they will take care of it. Small bathroom, no curtain, no mat. No shades or dark curtain (recommended). No safe. Cold white light lamps (change to warm white light recommended).